We are in the third week of the penitential season of the Advent; the time of preparation for day of Christmas, to celebrate the coming of the Son of God into this world. 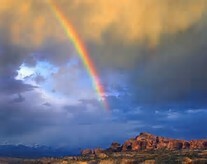 It is a time of expectation; anticipating the Second Coming of Jesus Christ, at the end of time. The third candle on the Advent wreath is pink; most priests celebrated Mass this day, wearing pink rose colored vestments. It is the Church telling us that the time of preparation, of more intensive prayer, of reflecting on Scripture, of ascetic practices are almost at end. Truth be told, it is hard to live a penitential lifestyle during the days leading up to Christmas. The somber liturgical purple colors are overwhelmed by the bright colors of red, white, and green. The bright Christmas lights decorating our city streets, the stores, and our office spaces; yes, even our homes; tell us Christmas is here! During a time when we are asked to curb our desires, we are encouraged to consume more and more. Whether it is buying lots of Christmas gifts, or the eating of Christmas candy and pastries, we are told the celebrations start now. Yet, sometimes I think we are being feed a false message by the merchants, the politicians, and city fathers. We see in the news of tragic events, the murder of innocents, both at home and abroad; and we experience fear. We see, and hear, the messages of hate, whether spoken by terrorists, or our politicians, filling the airwaves and the internet. Many of us are feeling the burden of an uncertain economy, feeling the anxieties of making ends meet, of keeping shelter over our heads. And we have our own inner anxieties, which keep us up at night. The “Christmas Season,” only adds to the anxieties. So we have one more week before Christmas Day, a week to enter again into a time of true preparation to celebrate that wondrous day! To prepare our minds, our hearts, our souls to hear, really hear, the “Good News” of Jesus Christ. 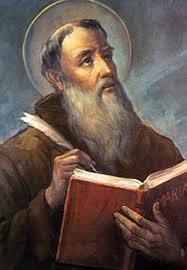 July 21st is the Feast day of Saint Lawrence of Brindisi, a Franciscan Capuchin priest, born in Italy in the year 1559. A scholar, he was famous for his mastery of many languages. Because of this, he was sent into various European countries, on preaching missions. 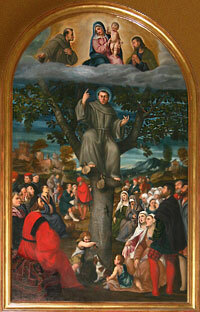 He became known as an effective and forceful preacher. As an ordained deacon in the Catholic Church, one of my ministries is to proclaim the Gospel during the celebration of the Eucharist; and occasionally to preach on that reading from the Gospel. The above quote from Saint Lawrence strikes a chord within me; because the act of preaching can have an effect not only on the congregation hearing the homily, but also on the preacher himself. I prepare a week before I am scheduled to preach, prayerfully going over the Scripture readings for that Sunday. I try to open my mind and my heart to what the Word, Jesus Christ, wishes to reveal to me. I reflect on how the Gospel speaks not only to myself, but how it will speak to those sitting in front of me. What is that they need to hear; what words of comfort they need to experience. There have been times that I will delete a whole written page, because I have been inspired to take a different tack. To preach is far different than any other type of public speaking. I stand behind the pulpit, with my written text; as I look over the people before me, I whisper a little prayer. Then, more often than not, the Holy Spirit takes over, guiding me, inspiring me; the words on the paper, takes on a life of their own. When I am done, I know that for me, it was a holy, sacred moment. I have come to realize that there are many ways one can preach the Good News. It is why I am attracted to blogging; it is another way to share my experience of God’s love. And it is becoming a means of hearing about others experiences. And finally, the other means we all have to preach the Gospel, by the way each one of us strive to live in our daily lives; with our families, in our workplaces, in the stores, and on the streets.